If there’s anyone that knows what Ronda Rousey felt after suffering a brutal defeat after riding high inside the Octagon for so long, it’s current featherweight champion Conor McGregor. 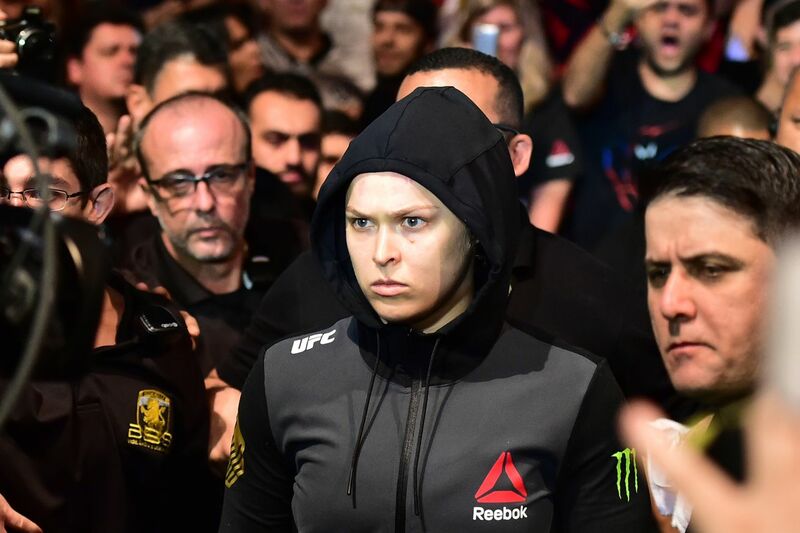 After Rousey suffered her first-ever defeat inside the eight-walled cage — and in her career — to Holly Holm at UFC 193 via knockout, Conor suffered his first loss with the promotion to Nate Diaz a few months later via submission. With Conor and Ronda being the two biggest stars in all of mixed martial arts (MMA), it’s only natural that their respective losses were that much greater. “I’d tell her to go shut them all up now. Shut them all up. Go and stake your claim again,” Conor told Sports Illustrated. “I wish Ronda nothing but the best, it’s good to see her back. Some people take defeat and losses a certain way. You see how some fighters take losses. I’m happy she is ready to go again and I wish her well,” he added while promoting the latest edition of the “Call of Duty” franchise. Click Debate: Was Michael Bisping-Dan Henderson an indictment of MMA judging?